Numerous studies prove that using mindfulness meditation for migraine headaches can reduce migraine frequency and severity with regular practice. Techniques like Vipassana, mindfulness, transcendental meditation and guided visualizations all show benefits. Below are some ideas to experiment with to find the right meditation to help ease your migraines. When you practice mindfulness, you focus your attention on the task that you are doing and in this way your thoughts will be about the simple tasks you are doing rather than having other mental thoughts intrude. Like that to do list. The brain has a negativity bias, so you're more likely to hear negative comments like berating or criticizing yourself whilst performing a task. Mindfulness is more a place of being with the doing rather than thinking about the doing. If you think of Tai Chi or other martial arts or yoga or rock climbing, one’s concentration and energy is focused on the task at hand rather than thinking about other things. So mindfulness is learning to be focused on just one thing at a time. Your thoughts are not always right! You will need to slow down if you are used of a fast paced life. So, you might find it easier to be mindful just before or after a migraine when you can slow right down naturally. Shinzen Young uses three methods: turning towards, turning away, and focusing on change. Focusing on change means to watch the flow and be aware of the flow and changes in your pain. I used to watch my migraines move all over my body, they would even go through my feet. Focus on relaxation – physical or mental. Focus on positive thoughts and emotions. He calls this the feel, image, and talk reactions. The turn toward technique uses the focus on physical sensations like touch. And the focus on change method directs your attention to follow and become aware of the flow through the body and the changes in the pain. This can be easy... until the pain gets too intense. Focus on any change in movement, flow, location, size, texture, color, intensity, emotional connection, etc. In this series of 3 videos Shinzen Young does a guided mindfulness meditation with a man named Rich and goes through his pain. I know this is not migraine pain, but it will give you some idea of where to start. 1. Find a comfortable sitting position either on the floor in lotus position or in a more comfortable chair. Make sure your spine is straight. 2. Take a few deep full breaths – allow the breath to fill the lungs. Slowly and gently exhale. Allow your breath to find its natural rhythm. Bring your attention to the strongest sensations of your breath moving. Notice the rise and fall of your abdomen with each inhalation and exhalation. There is no right or wrong way to breathe. Notice the cool movement of air right at your nostrils. 3. This is the hard part. Once you feel that your body is more relaxed and your mind is calmer “embrace and penetrate" the pain! Observe how the pain in the head shifts, morphs, expands, contracts, spreads and pulsates. 4. Remain as a neutral observer watching your pain move around your body. It is important to remember that while doing your guided mindfulness meditation you are to maintain a passive attitude. This is how it worked for one meditator; however I did not have this experience. I could watch the pain move all over my body, for days (10 in most cases) and follow the flow and wave he describes, but the pain only intensified. I just passed out from the pain eventually. 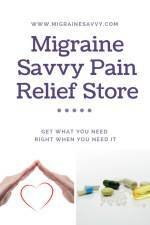 Please read about the 4 phases of migraine, so you won't encounter this problem. Be gentle with yourself if you try this method. If the pain does not dissipate you may want to find another method. I have a guided mindfulness meditation for migraines in my course. Sign up now, the first module is free. Find a sitting position that allows you to be alert and relaxed at the same time. Rest your hands in your lap and allow your awareness to travel through your body. Up and down, scanning, and where it stops, soften, relax and let go in those tense areas. The physical sensations will attract your attention, but don’t focus too long in one area. Soften the hands, let go in the shoulders, and relax the abdomen. You can easily get lost in thoughts, so the Vipassana technique often starts with awareness of the breath which helps quiet your mind. As you practice you might find a more useful anchor to use like your migraine pain, sounds, physical sensations or feelings that arise. This teaching says "what’s important is that your sensations are awake" so you know you are here. 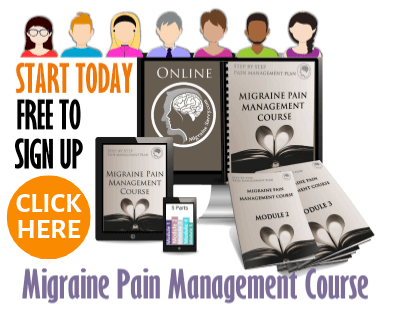 As far as I am concerned, what is important for you as a migraine sufferer is to learn what degree of intense pain you can sit with and remain an objective observer before the unbearable migraine pain phase starts. Many theories say not to label it as pain, but to choose physical sensations instead. I used to do 10 day silent retreats in Vipassana meditation. They were intense, yet so wonderful. In fact, I still recall some of the extreme moments that occurred for me back then. It’s a very powerful technique. The practice I did scanned the body. The physical sensations become more and more intense. But it sure taught me that thoughts, feelings, and physical sensations come and go - "impermanence." I still remember watching a few sneezes come and go without actually sneezing. I did this practice for many years watching my migraines. I find it much more intense than just doing a gentle guided imagery meditation which calms down the nervous system, inviting the sleep state. 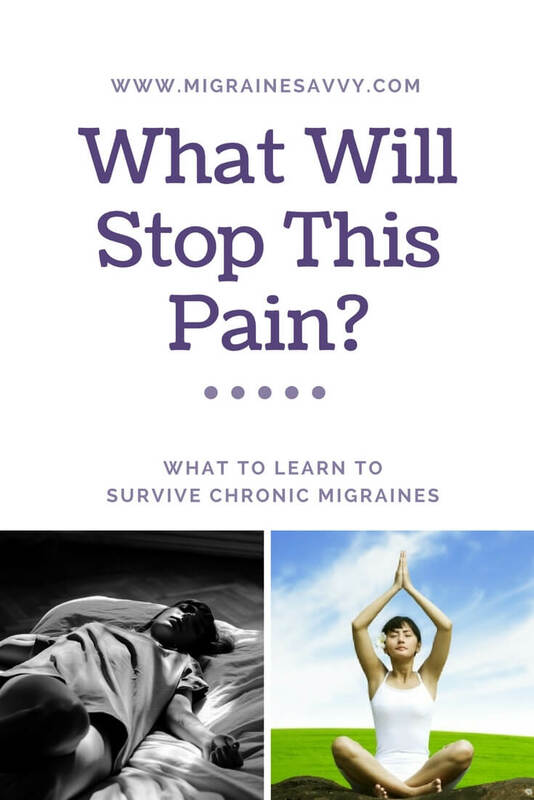 I would not recommend such an intense form of meditation with a migraine coming on, a gentle mindfulness meditation for migraine would be best to take you away from the pain instead of into it. But, hey don't let me stop you. Remember to experiment and find what works best for you. Finding the right mindfulness meditation for migraine, your unique migraines, is part of the journey. The first thing I do when I feel a migraine approaching is grab my abortive medications and ice packs and go straight to bed. In a dark room. Then I put on my MP3 player and listen to a guided mindfulness meditation for migraine. I suggest you find one that helps you drift off to sleep. Sleep is a great migraine aid. Learning to meditate means you can go anywhere in your mind or just rest your (busy, worried) mind and go into your body. It’s so easy to learn and you can do it almost anywhere any time to bring inner peace and calm. Plus you can use it over and over... and over. Pick one to learn and let yourself drift away from the pain. I feel that a gentle mindfulness meditation for migraine that helps you drift off to sleep or away from the pain works best. Imagine feeling happy. See yourself in vibrant good health, pre-migraine, smiling or laughing. Let me give you a quick example of a guided mindfulness meditation for migraine relief I do with clients. Most meditation practices say not to label anything, so if I slip here and there, and use labels, please use the words that feel right for you. 1. Bring your awareness to your breath. Feel the inhale and the exhale and feel the coolness of the inhale. Allow your lungs, belly and chest to fill with air. Allow the muscles to relax when you exhale. Most guided mindfulness meditations are about bringing attention to and being with your breath. Take three conscious breaths with your awareness in your body like this. Then follow the inhale inside your body. Let your attention rest in your stomach or lower abdomen. 2. Now notice the weight of your body sitting on the chair. Feel the chair supporting you and allow yourself to settle into your sitting bones. Allow yourself to feel held by that chair. Feel the touch of your feet on the ground. See if you can feel mother earth or the ground supporting you, taking all your weight - just supporting you. 3. Notice what you can hear outside the room, spend some time there (say two or three breaths) and then notice what you can hear in the room, and then inside yourself. 4. Notice your body from the feet up. Wiggle your toes, feel your ankles, knees and thighs. Bring your attention back to your sitting bones on the chair, feel your chest, and neck. Roll your shoulders, feel your hands and fingers and allow your awareness to linger on your head and face. Relax your eyes, nose and mouth. Relax those ears. Relax all the places your migraines strike. 5. This is where we can adapt the guided mindfulness meditation for migraine. Hold an image in your mind's eye that makes you feel happy. See yourself in health, pre-migraine, smiling or laughing. I know that can be hard if the pain has already started. For years I visualized a very small image of me sitting at the back of my head putting out the sparks flying off the nerve endings in my head. Peacefully and lovingly putting them out with my hands as I meditated. I saw a smile on my face as I imagined the migraine disappearing. 6. I would also visualize my healthy, clean blood flowing effortlessly in and out of my strong blood vessels all though my body, head and ended in my ears. Include the sides of your head around your ears, the side your migraine pain comes on most often. Taking the time to meditate regularly helps reduce stress which is associated with migraine attacks. When you experience chronic migraine pain, your mind develops a pattern of relationship with the pain. You don’t want the pain. You want to ignore it, dismiss it, shut it out. You want it to go away. You might even fight with your body for having the pain. 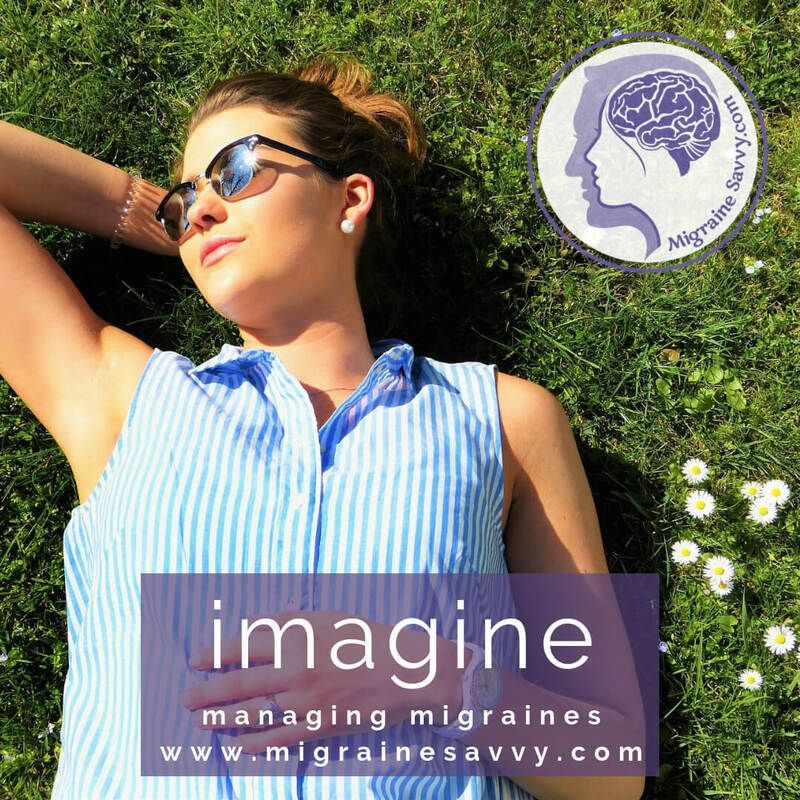 Any mindfulness meditation for migraine can be very difficult to practice on your own when you are experiencing the intense pain from a migraine. 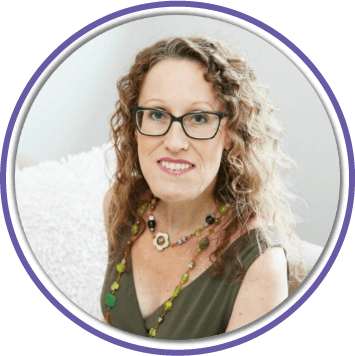 It's often hard to think straight, so my migraine pain management course has a few guided meditations for you to use and reuse. 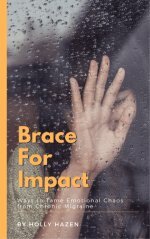 Focusing therapy considers the mind's reaction to the pain. It acknowledges all that is there (emotional, physical). Unpleasant sensations, fear, worry, anger… whatever emotion is coming with the pain. Then turning towards that part of you and saying hello with compassion. It's a great way to talk with your body and create some space, getting the right distance, between your mind that is aware of the pain and your body that is experiencing the pain. It makes it easier to truly observe objectively and with curiosity, change your relationship with the pain. Using guided mindfulness meditation for migraine relief can redefine the relationship your mind has developed with your pain. 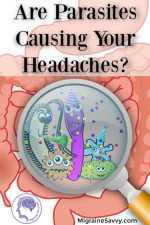 You can read more about that here on focusing with migraines. P.S. You can also record the scripts on this page for yourself. 1. C4Chaos (2012) Open Practice: How Vipassana Meditation Relieves My Migraine Headaches. 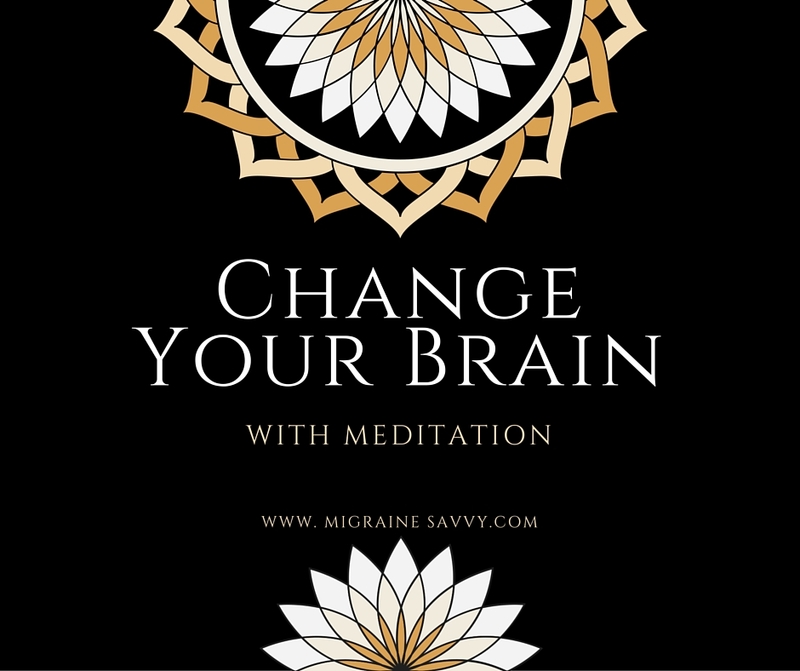 [Online], Available at: http://www.c4chaos.com/2009/07/open-practice-how-vipassana-meditation-relieves-my-migraine-headaches/ Accessed Sept. 30, 2017. 2. Study on Meditation for Severe Headache (2001) Department of Psychiatry, Department of Family Medicine, Chang Gung Memorial Hospital, Kaohsiung.